Sairam! 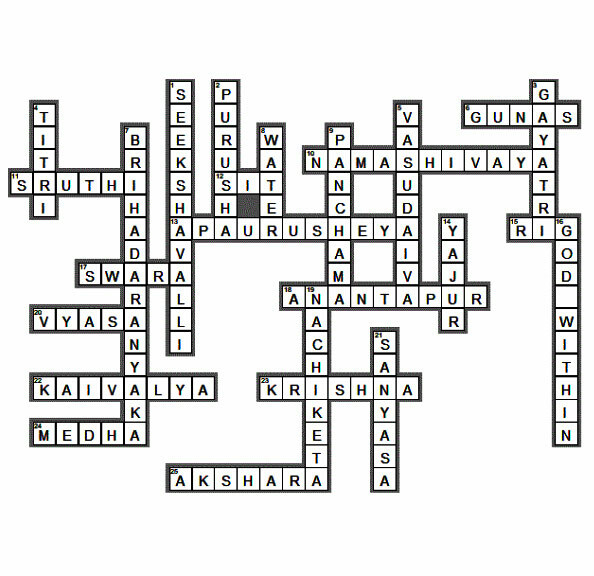 You have completed this crossword puzzle. 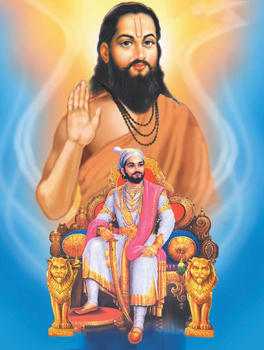 Chatrapati Shivaji Maharaj was a very faithful disciple of his Guru, Samarth Ramdas Swami. Rightly, he was his Guru’s favourite disciple. Guru Samarth loved him more than any of his other disciples. This triggered a feeling of jealousy in his other disciples. They felt that since Sivaji was a king, he was their Guru’s favourite. Guru Samarth decided to remove this misunderstanding from the minds of his disciples. He thought of a plan and one day, he took all his disciples to the forest. In the dense forest, they lost their way. Guru Samarth went into a cave and pretended to be suffering from a severe pain of the abdomen. He started moaning and groaning. Hearing this, the disciples entered the cave and asked Guru Samarth how they could help. Guru Samarth said that only consuming the milk of a tigress, that too freshly milked, could help him recover. The disciples were shocked at his reply as they knew that getting the milk would mean, walking into the jaws of death. Soon the news of Guru Samarth’s condition reached the ears of Shivaji Maharaj. Without losing a moment, he left his fort to visit Guru Samarth. Upon reaching the forest, Shivaji followed the moaning sounds of his Guru and traced him. He found the cave where his revered Guru was writhing in pain. Shivaji folded his hands and politely asked Guru Samarth as to how he could help. Guru Samarth told Shivaji that only the fresh milk of the tigress could relieve him, of his discomfort. He also told Shivaji that he knew it was an impossible task and he would understand if Shivaji could not help him. Shivaji was known for his stately qualities of unfailing courage, startling self- confidence and stupendous achievements. He was called as Chatrapathi Shivaji for all these reasons. Hence without even thinking, he just set out for the task of getting fresh milk from a tigress. He had just one thought in his mind and that was to save his beloved Guru! After wandering in the forest for a while, his eyes fell on two tiger cubs. Shivaji knew that, their mother would be around somewhere. Within few seconds, a tigress came out from behind the bushes. As soon as the tigress saw Shivaji, she started growling and moving towards him. Shivaji knew that he could easily fight the tigress but that was not his intention. He gathered courage and folded his hands in front of the tigress and said, ‘O Mother, I have not come here to harm you or your cubs. I just need your milk to cure my beloved Guru’s illness. Please oblige me. I shall give your milk to my Guru and then come back to you. Then if you wish, you may eat me. Please trust me’. Saying this, he lovingly rubbed the back of the tigress. It is said that, even animals can be won by love. The tigress stopped growling and started licking Shivaji. Shivaji then lovingly milked her and filled his kamandal (oblong water pot) with her milk. He bowed down to her with gratitude and left the place. Shivaji rushed back to Guru Samarth and offered the pot of milk to him. Guru Samarth looked at his favourite disciple Shivaji and said with tears of joy in his eyes, “With a devoted disciple like you, how can I be in pain for long?” Guru Samarth then looked at his other disciples. They bent their head in shame. They realised that Shivaji had every right to be their Guru’s favourite. They also understood that to be worthy of their Guru’s love, they too should work hard to be as sincere and devoted as Shivaji. No wonder history remembers Shivaji as “Shivaji, the brave”. He was indeed a true disciple in every sense! Speaking thus, He asked Roopak Changkakoti, an outstanding student at Baba’s Whitefield college, to click a solo picture of Him with the polaroid camera. When the Polaroid photograph was pulled out everyone was stunned to see on it the form of Dattatreya with three heads—the composite divine unity of Brahma, Vishnu and Shiva. According to Roopak Sharma, who was one of the fortunate students present on the occasion, Baba’s hair in the picture was matted. He had six hands. His body was bare but He was wearing a dhoti; He was resting one of His arms on a cow and the cow was licking His feet; His head was surrounded by a brilliant blue aura and the word “Aum” was visible in the background. The photo also showed four dogs. Sri Satya Sai Baba is the Supreme Being, the primordial source of the cycles of creation, maintenance, and ultimate annihilation. This truth has been demonstrated by Satya Sai through this incident when He revealed Himself to be the transcendental divinity combining within Himself Lord Brahma, Lord Mahavishnu, and Lord Paramashiva—the great trinity. A professor of philosophy learnt many works of epics from a guru who was known as ‘Gonthavali Brahma Chaitanya Maharaj’. This guru was also an ardent devotee of Lord Dattatreya. He once told the professor, “Dattatreya has reincarnated in Puttaparti in human form” and urged him to go to Puttaparti and get the blessings of the Lord. He also added that he was unable to travel that far due to his old age and expressed his desire that at least the professor visits Baba. Obliging the words of his guru, the professor came to Puttaparti. He was blessed with a personal interview of Baba. Even as he entered, Baba told him, “Take Padanamaskar. This is the very seat of Lord Dattatreya.” The immense joy explained by the professor could not be explained by mere words. 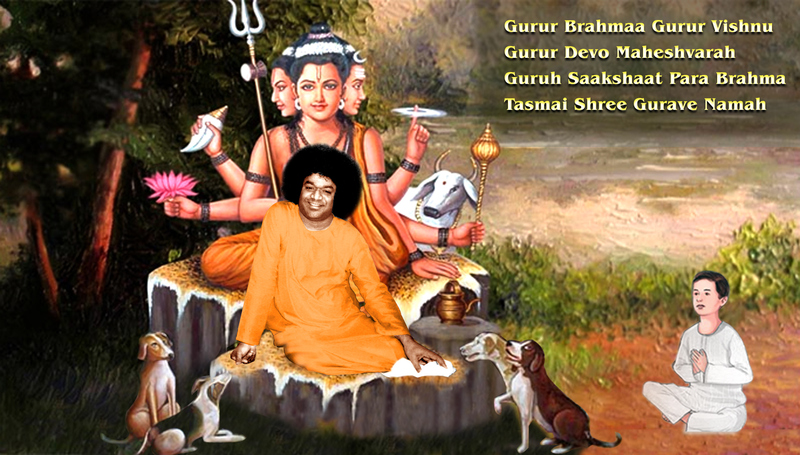 The festival of Guru Poornima is one of the most significant celebrations in the Sai calendar. Over the years, Bhagavan has used this occasion for the unfurling of many landmark events of His mission, be it the opening ceremony of the first college campus of Sri Sathya Sai University in 1971, or the inauguration of the Sri Sathya Sai Water Supply Project, Stage-I in 1995, or the announcement for the establishment of Sri Sathya Sai Institute of Higher Medical Sciences, Whitefield, in 1999, or the revelation that He is in fact the Shiva-Shakthi Avatar on earth in 1963. And on every one of these momentous days He blessed the devotees with a profound discourse. Many wonder what is so significant about Guru Poornima? Why do we celebrate this festival? And how should we observe this day? Bhagavan has given clear answers to all these and much more. Let us now recapitulate this immortal message of the Sadguru, the Supreme Teacher, through a few simple questions. Q) Why do we celebrate Guru Poornima? Guru Poornima is dedicated for offering gratitude to the guru. On this day, the Moon, which is the presiding deity of the mind, is full, clear, cool and bright! It has no blemish or dullness which diminishes its glow. The guru too is pictured and praised on this occasion as unblemished, bright and affectionate. He is full of devotion with a sense of surrender to God. He is tolerant and truly peaceful. He is the living example and embodiment of the virtues he desires his disciples to develop. The guru that initiates one into chanting a particular mantra is a Dheeksha Guru, while the guru who transforms and elevates the personality of his pupils is a Siksha Guru. It is this latter guru that is reverentially praised in thousands of ways in the holy texts. He removes the faults in vision and destroys the darkness of ignorance. He reveals the Atma to the individual and makes him free. 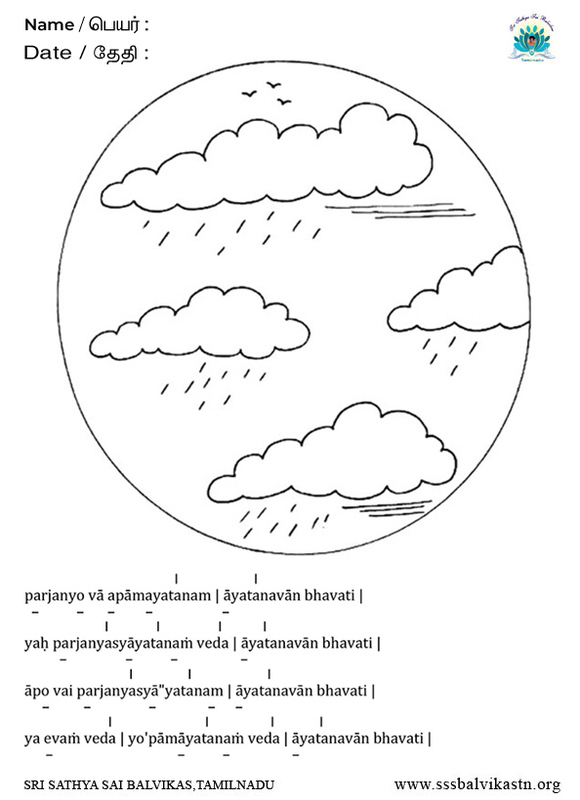 Q) Why is this day also called Vyasa Poornima? Sage Vyasa was born with a great urge for spiritual upliftment and he entered into deep study and sadhana (spiritual practice) even as a child. He acquired such divine wisdom and glory that he is identified with Narayana (God) Himself. 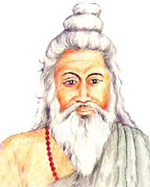 He stands out as the Lokaguru (World Teacher) for he codified the Vedic hymns and prepared the great Vedantictext ‘Brahmasutras’, besides the epic commentaries of the Veda-vedanta (teachings based on Upanisadicphilosophies), Mahabharata and the Srimad Bhagavatham. He is called ‘Veda Vyasa’ because of his service to the students of the Vedas which defied understanding since they were countless and fathomless. 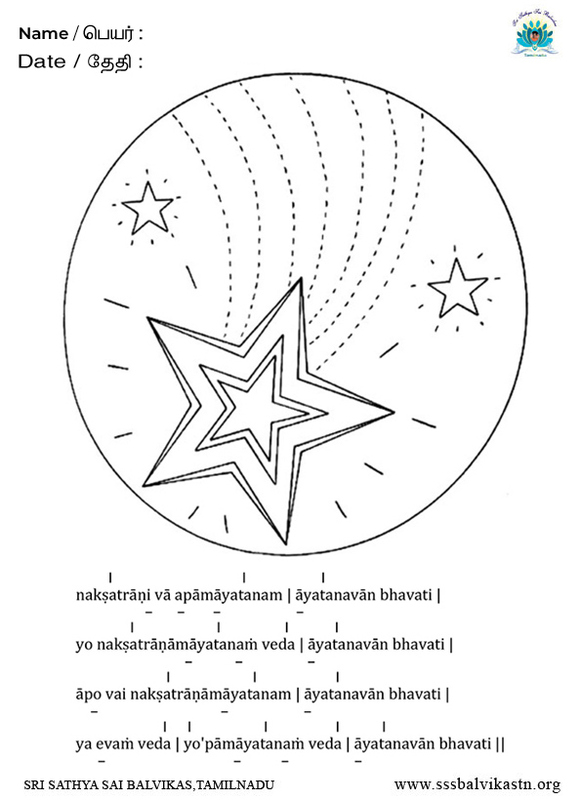 It is for this reason it is said Anantho vai Vedah – The Vedas are limitless. Vyasa helped mankind to earn peace. Therefore, Vyasa refers to the person who has elaborated and expanded the knowledge of truth, that is to say, the universal eternal energy. 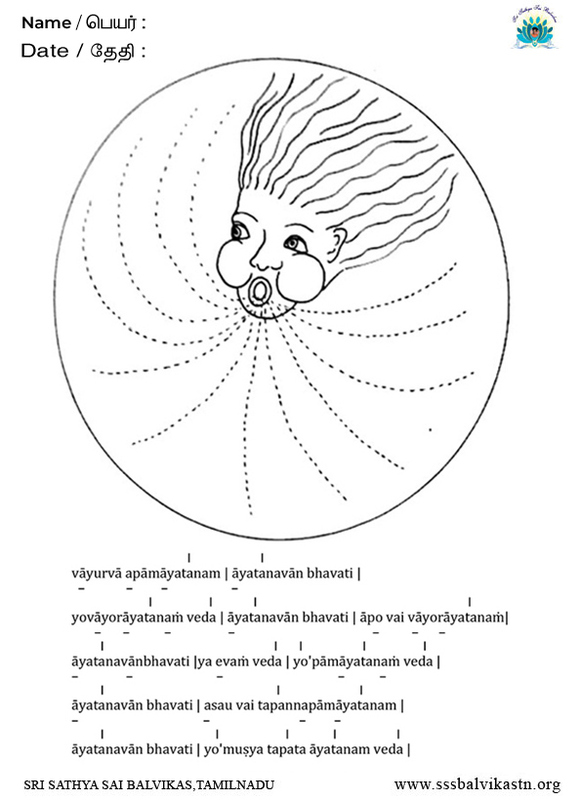 Even Vyasa can only show you the road. You have to traverse it alone. 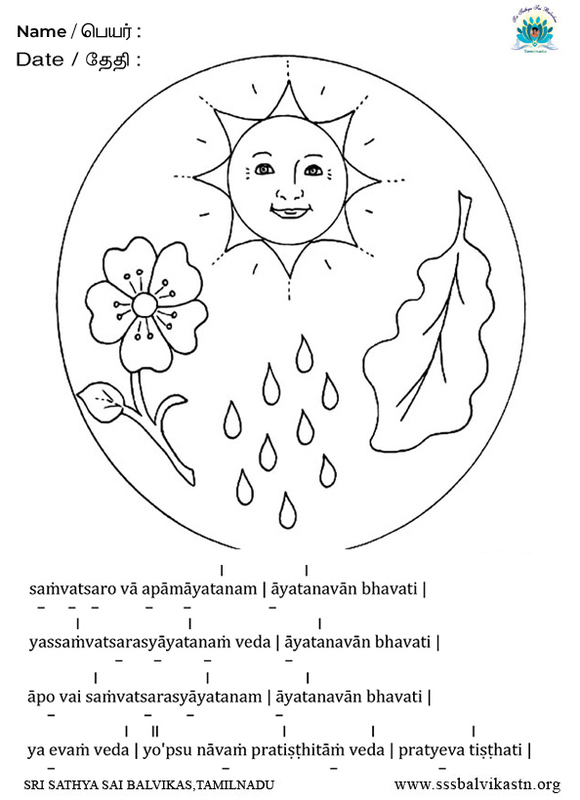 He gives you a mantra (a sacred word or formula) which you repeat; though you may not know its meaning, it will act as the purifier of your mind. Humanness is holy; it is neither mean nor low. It has the status of God, though clouded and contaminated. For this faith to strike deep roots in our minds and to keep us fixed in that belief, a guru is needed. Vyasa is the first guru who demarcated the path and the goal. That is why he is associated with the Poornima day. Q) Who is our true Guru? 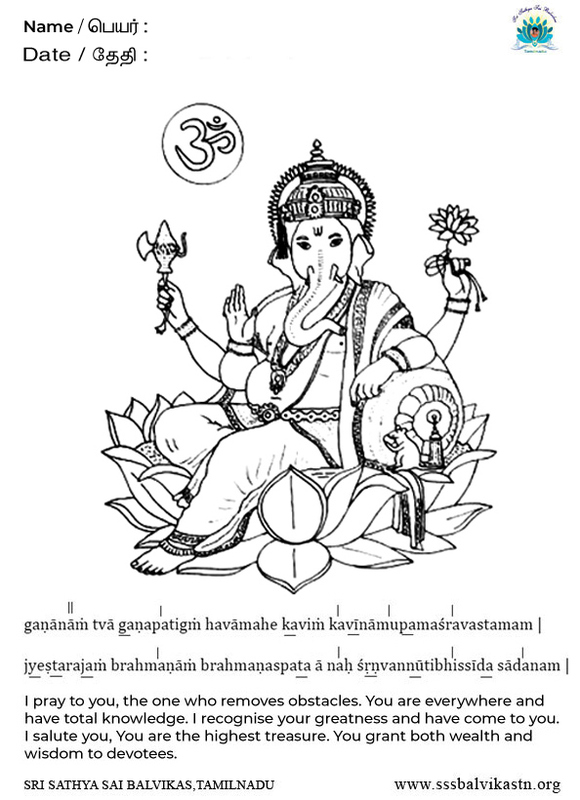 This is usually interpreted as indicating that the Guru is Brahma, Vishnu and Maheshwara (The trinity of Godhead) and that he is the visible Parabrahma(God). 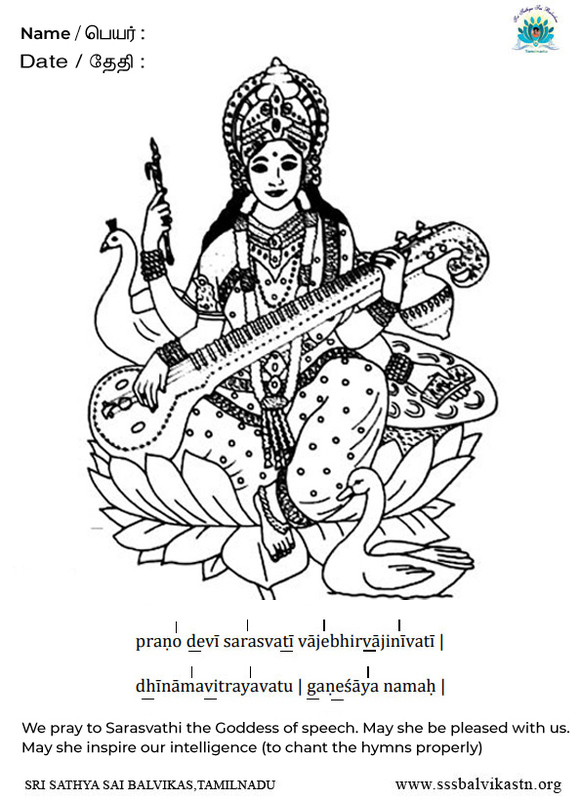 But this hymn can be understood in a nobler manner: "Brahma is the Guru, Vishnu is the Guru, Maheshwara is the Guru, truly, Parabrahma is the Guru." Pray to the God within you, the Maheshwara, the Vishnu, the Brahma, or the Parabrahma Principle to reveal Itself. Accept that as the Guru and you will be illumined. 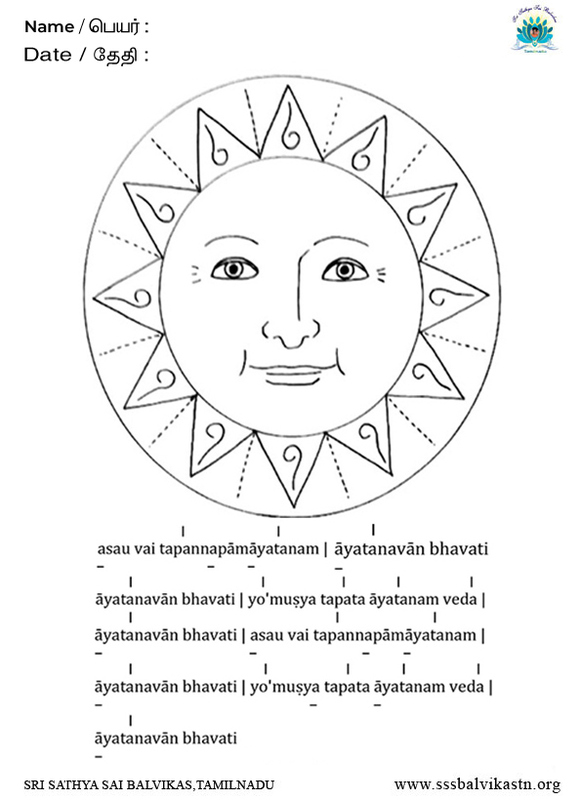 The Gayatri mantra is a prayer for the progressive upsurge of intelligence so that Truth may be grasped by the seeker. Subordinate the mind to the pure intelligence which is but a reflection of the God within. Then, you have the Guru of Gurus as your guide. Man is consumed by time; God is the Master of Time. So, take refuge in God. Let Him be your Guru, your path and your Lord. Adore Him, obey His commands, offer Him your grateful homage, and hold Him fast in your memory. This is the easiest way to realise Him as your own reality. This is the one and only way. Q) How should we celebrate this day? 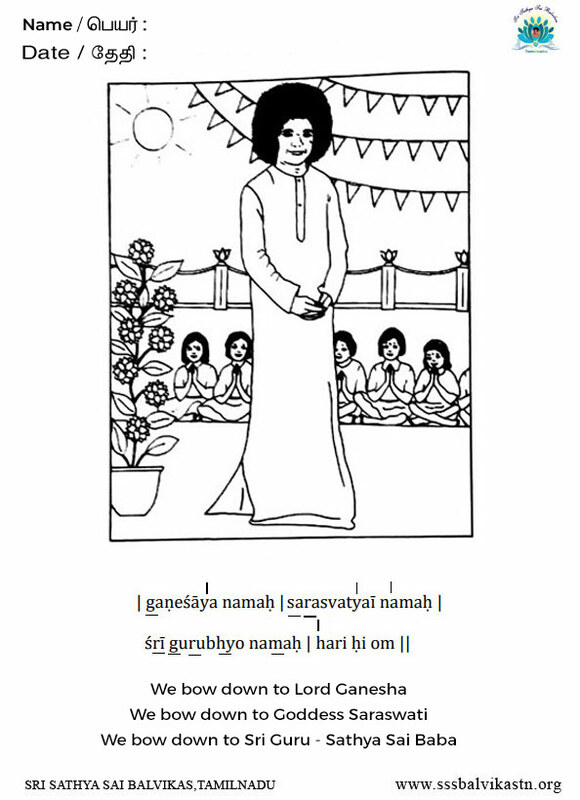 What is Swami’s message for us? This day, the seeker who suffers from identification with the false objective world is initiated into the reality of the 'Unseen Motivator' within him; This day, those who have no urge to tread the spiritual path are inspired to seek the bliss which that path will confer; This day, aspirants are helped to achieve the consciousness of the One, which is known by many Names and Forms, in various languages and lands. Guru Poornima must be celebrated with prayer and penitence as that alone can cleanse the heart and not by feasting or fasting which affects only the body. This is the day when you decide to become masters of your senses and intellect, emotions and passions, thoughts and feelings, by sadhana (spiritual discipline). Even during dhyana (meditation), the ego will obstruct you. Nivedita asked for advice from Vivekananda to gain one-pointed focus during meditation. "Do not allow Margaret Noble to come between you and God," Vivekananda said. Margaret Noble was herself. 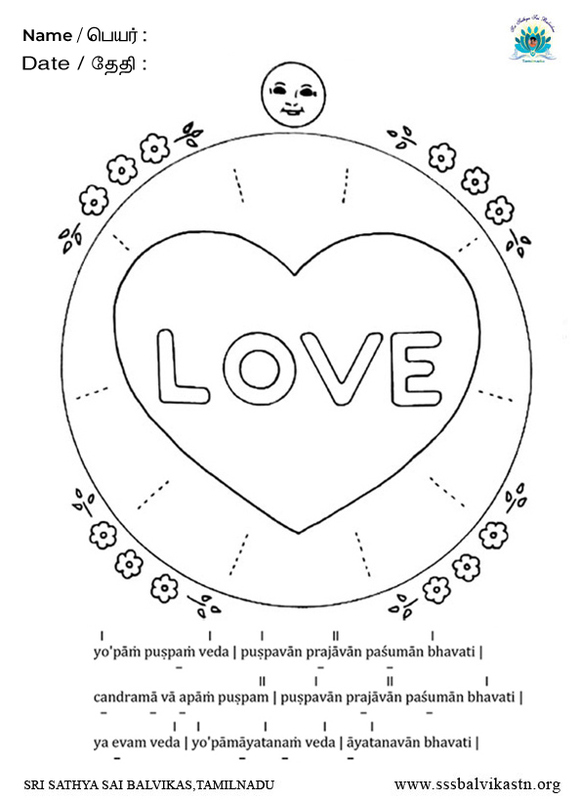 "‘Nivedita’ means ‘Offering’," Vivekananda explained and added, "Offer yourself fully to God." This total dedication cannot emerge from scholarship. The scholar is polluted by ego; he delights in putting pros and cons against each other; he raises doubts and disturbs faith. They mix the secular and the worldly with the spiritual and the other-worldly. They worship God in order to extract worldly gain. But prayers to God have to be for spiritual progress. Embodiments of Divine Love! If you want to understand Divinity, you should have the firm faith that Divinity is everywhere. There is no place or object without God. 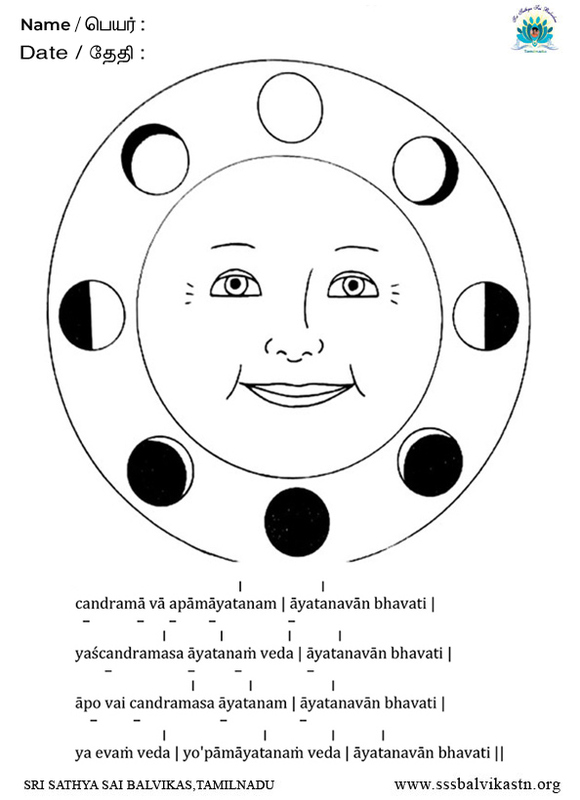 Guru Poornima means full moon without any defect or lacuna. Moon is nothing but mind. When the mind is completely perfect, it sheds light. Guru Poornima is not performed by circumambulation and offerings to the Guru. What is the real offering? 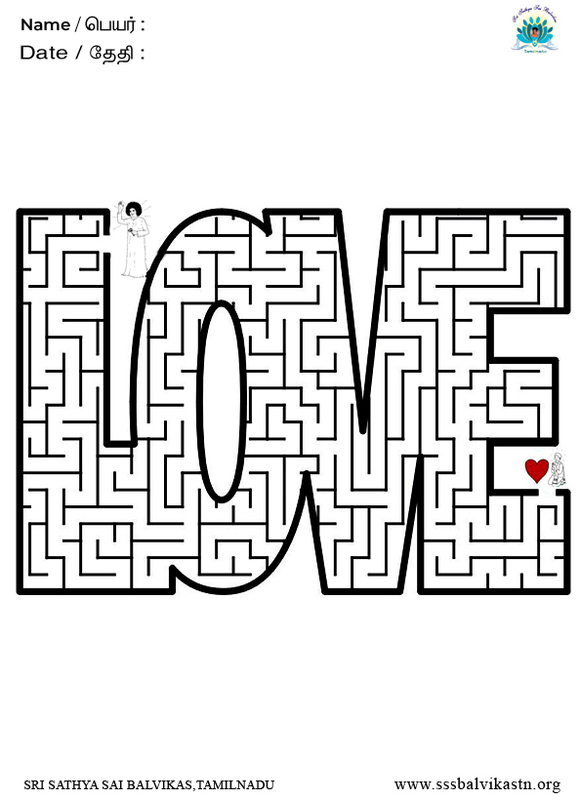 It is the offering of one's love. To know that God exists everywhere is circumambulation. If you understand these terms, every day is Guru Poornima. There is only one Guru, that is God, and there is no other Guru. Contemplate on that Guru. Therefore, engage yourselves in sadhana (spiritual practices) without delay. Cultivate virtues; be free from evil habits, thoughts, words and deeds. Grow in love and greet Nature with love. This is the way to Ananda (bliss). This is the message for Guru Poornima. 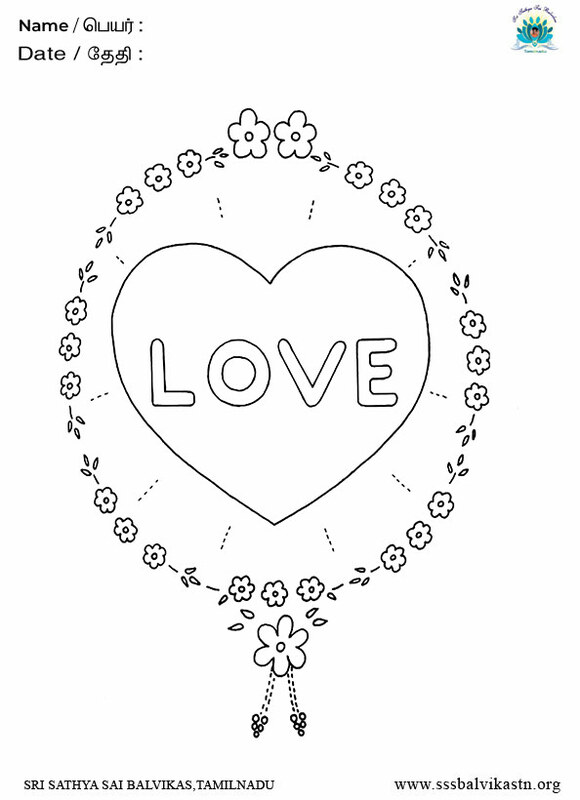 Conclusion: When we understand that love is the basis for everything we see around us, including flowers, the Sun, the Moon, Fire, Air, Stars, Clouds and seasons; we will realise that God made this wonderful world for us because He loves each and every one of us. 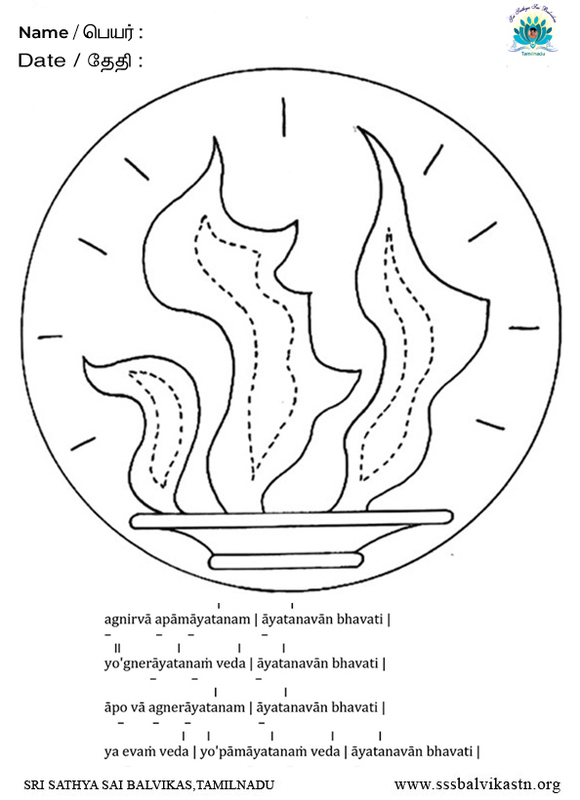 GURU lights the flame of knowledge (Jnana) and removes the darkness of ignorance. On this holy day of Gurupoornima, we bow to our gurus with reverence and love.